"I love creating food that is appealing to the eye and the palate. I am the youngest of six and I can still recall the first time I made pancakes for my siblings. They loved them and at ten years old I was hooked on cooking. That feeling of excitement and hopeful anticipation is with me every time I create something. I love the challenge of taking traditional recipes and updating them using ingredients that are healthier and Vegan. It is gratifying to introduce new flavors in new combinations to create edible masterpieces. The smiles and soft moans that are uttered are addictive praise. It inspires me to continue to create new recipes and it feeds my soul." 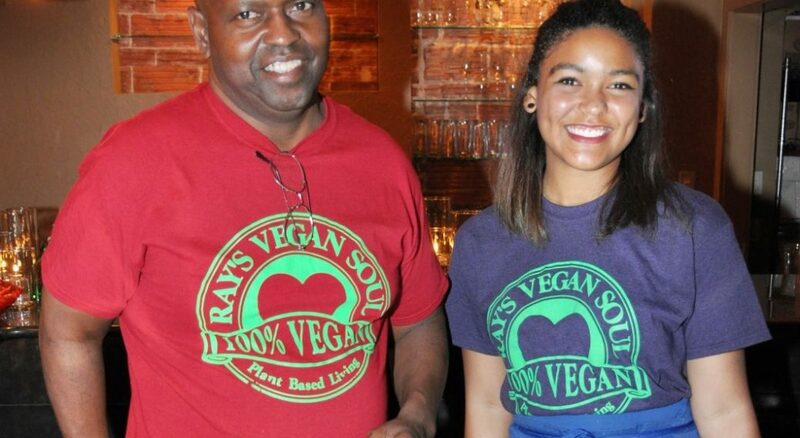 Ray Milton is a boxing instructor and former pastry chef, turned Vegan Soul Food Chef, located in St. Petersburg, Florida. Ray is selling vegan mac and cheese (vegan mac and "cheese" made with cashews), jackfruit "crab" cakes, raw tacos, jicama coleslaw, pumpkin chili and other animal-product-free delights, which are healthy and incredibly delicious!